Help Batman hit all of the red dots on his first try. Can you help save the day in this new lego batman game? 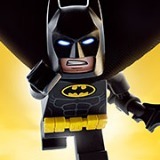 Why is Batman like a Lego city figure his face is yellow. but good game.